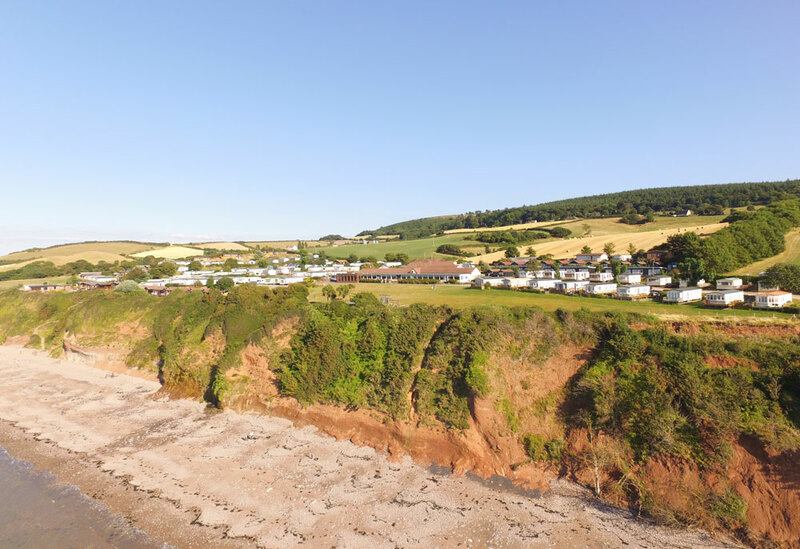 This 2007 BK Sheraton at St Audries Bay Holiday Club is located on a sea view plot ” Surf 11″. It is a corner plot with enclosed garden area, parking and is in close proximity to the facilities. The lounge is nice and bright with the large floor to ceiling windows and patio doors, which provide direct access to the front deck. The lounge is very spacious and accommodates a large sofa and arm chair well. You can enjoy the flame effect fireplace during the colder months whilst still enjoying your sea view. The TV cabinet, large wall cabinet and coffee table are included. This home suits those who like to close off the rooms rather than open plan. There are two doors closing off the lounge and bedrooms in the kitchen/dining area – great for shutting out those cooking smells. The fitted kitchen comprises of gas hob and oven, extractor fan, integrated under counter fridge and separate freezer, integrated microwave and free standing dining furniture. The master bedroom is both spacious and practical with the large floor to ceiling wardrobes and over bed storage. This home is in great condition and has been well looked after.